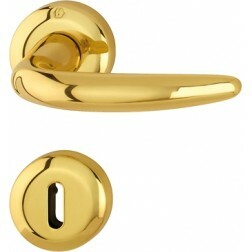 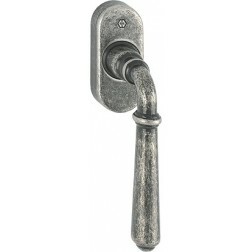 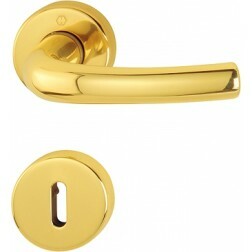 TitlTurn window handle Hoppe model Tokyo on oval rose. 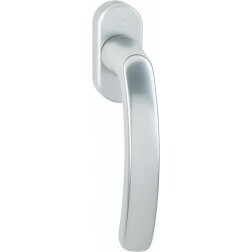 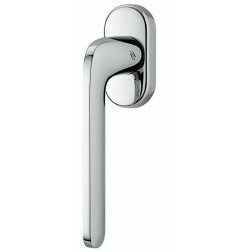 Window handle by Hoppe with aluminum frame with reinforced mechanism to last up 10 years. 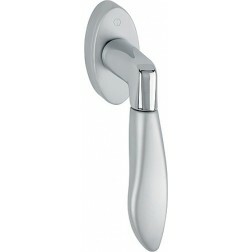 Rose are 66 millimeters in lenght and the handgrip is grooved with a slight curvature towards inside. 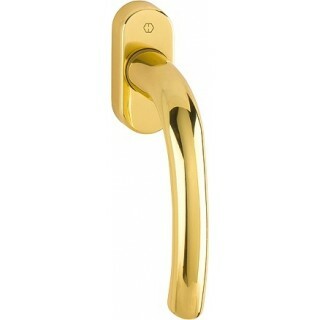 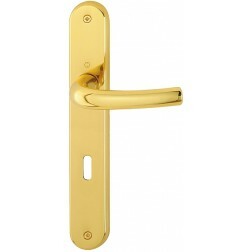 Satin chrome and polished brass finishes are coated with a protective surface that Hoppe has called Resista. 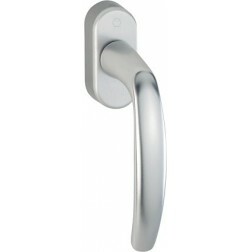 Protection from sunlight, extreme cold and dirt for 10 years.